Our summer Canadian vacation was really special. We were nervous about flying with Liam, but considering he decided to cut four molars on vacation, he did surprisingly well on our flights with little hassle. We had a three hour flight to Vegas, a short layover, and then on to Seattle. We drove from Seattle the next morning up into British Columbia, and our first stop after crossing the border was to hit the nearest Tim Hortons and grab some coffee and Tim Bits. We introduced Liam to Tim Hortons and we created a Tim Bit monster! After visiting Matt and Laresha in the Vancouver area for a night and having a fun family picnic, we headed to Penticton, where we spent the most time on our trip; a full glorious week of beach days and relaxation. Liam’s first beach experience was a lot of fun, and we had no idea how much he’d take to the water. We couldn’t get him out of it! 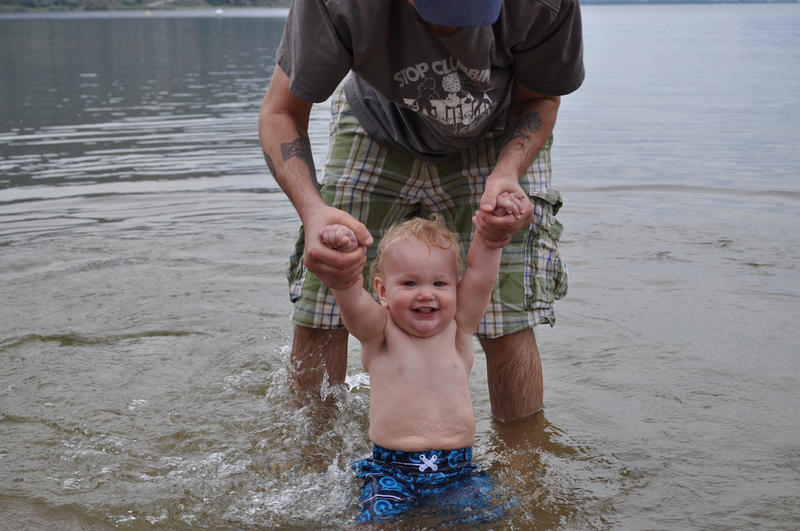 He enjoyed playing in the sand and “swimming” with daddy. Beach time was one of our favorite parts of the trip, so we started each morning by hitting the beach with Liam before his morning nap. Some of those early mornings we had the entire stretch of beach to ourselves, which was nice. One of those quiet mornings we even had a family of ducklings come and befriend Liam. It was adorable! Lucas’ grandparents and aunt and uncles were in town, which was nice, and we got to spend time with “Grandma” Boo. We also got to have dinner with Jill in Kelowna, and visit friends like Bob and Mar and Clay and Alyson. It was great to spend time in the evenings after putting Liam to bed with “Grandpa and Grandma” Richard and Linda, who graciously hosted us for the week. 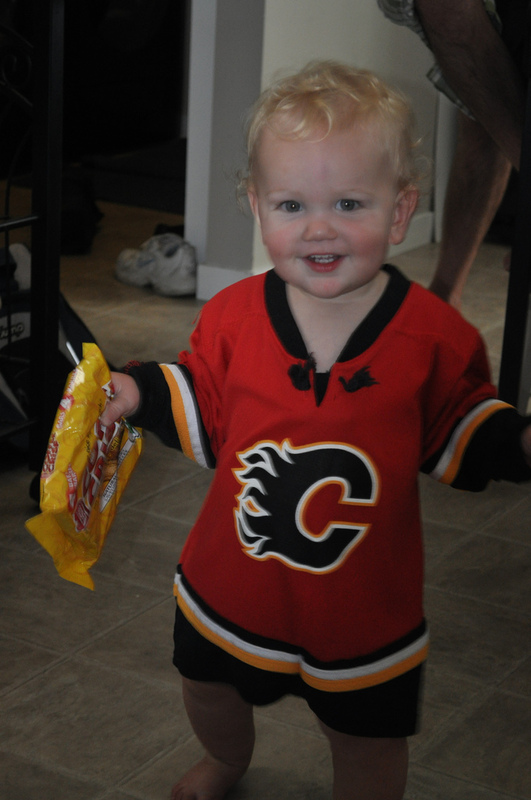 Towards the end of our trip we had a whirlwind visit in Calgary. By whirlwind I mean that I don’t remember really seeing the city; it was mostly driving from one place to the next. We started by dropping in on my BFF Michelle and her fiance Corey and their new house. We missed Michelle so much! We woke up and had breakfast together and it was great getting to catch up. Next we visited the Ckalieys for a night, and we enjoyed spending time with them and their two young kids. Liam loved making new friends! From there we met up with a lot of friends at the Ship & Anchor; a good central meeting location to try and see as many people as we could cram in to 2 hours of time. From there we popped by Chinook Mall to have coffee with Lyndsay and buy some books for Liam on our way out to Cochrane to spend our final night in the Calgary area with Jeremy and Deanna. They hosted a nice dinner and we got to spend time with them and our old roommate, Rob, too. The Calgary portion of our trip went by way too fast, but at least we got to see just about everyone that we wanted to see. Even a short visit was better than none! 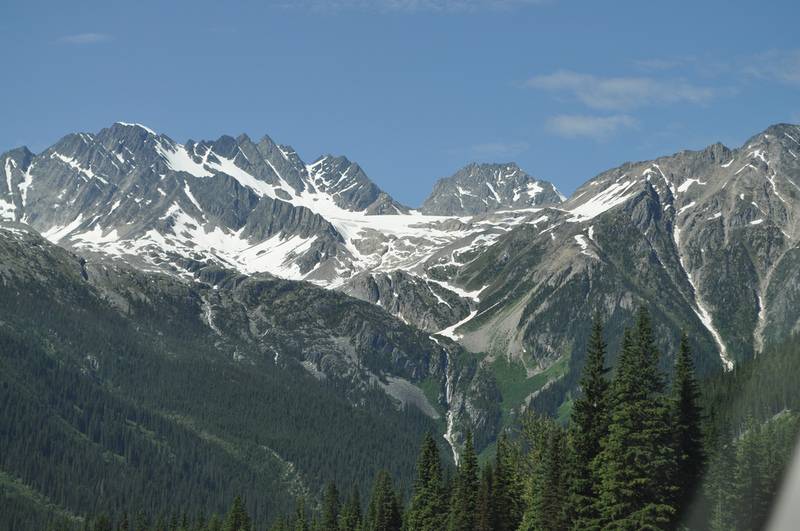 We took our time driving back to Seattle, and spread the drive over 2 days so that we could stop and sightsee in the Canadian Rockies with Liam. (Still my most favorite drive in the world.) 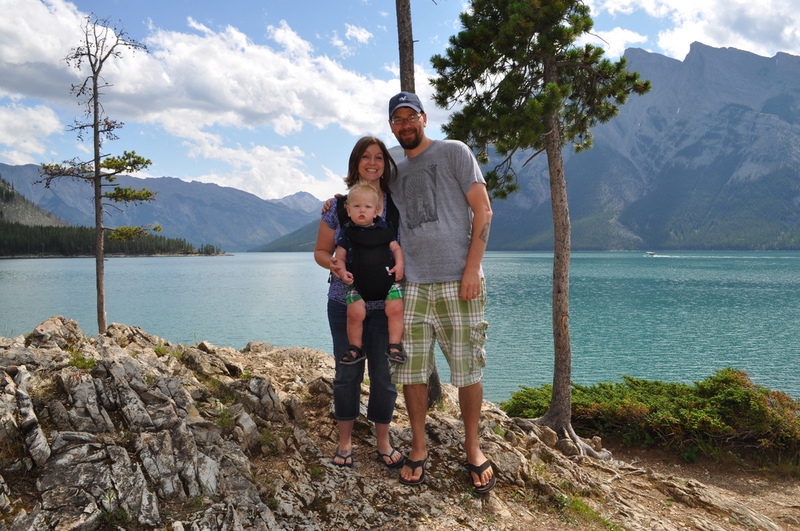 Especially important to us was to take him to the spot at Lake Minnewanka in Banff National Park where Lucas proposed to me back in 2007, and we got a beautiful family photo right on that very spot. It was really neat to stop and take pictures of Liam in these old familiar places that have a lot of meaning to us. We managed to catch friends like Jeff and Renee and Dayna, Kirsten, Dustyn, and their families on the drive between Calgary and Penticton for a meal, too! We really had a wonderful trip and it was really special to take Liam to Canada so that he could meet all of our family and friends. I can’t believe it’s been three years since we moved! We are especially thankful to everyone that put us up for a night or a week, or had us over or met with us for a meal. Seeing you was what it was all about! Hopefully we’ll make another visit again soon. And you know us… we of course took a lot of photos. Just how many photos did we take? Erm, around 3200. Yup… that’s like 228 a day. What can I say? It was a very memorable trip and we wanted to capture it all! We’re looking forward to many memorable family vacations to come!